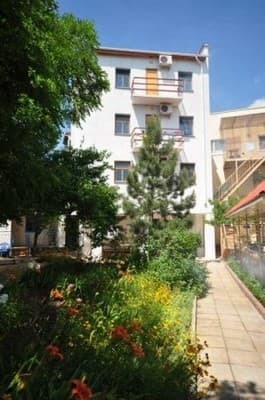 Guest house "White" is located near the Black Sea coast at the recreation center "Priboy" in Saki is 100 meters from the sea. There is a spacious sandy beach - one of the best sandy beaches of Crimea, numerous cafes and entertainment for all tastes for adults and children. On each floor of the hotel there are spacious recreation areas with tables, satellite TV. 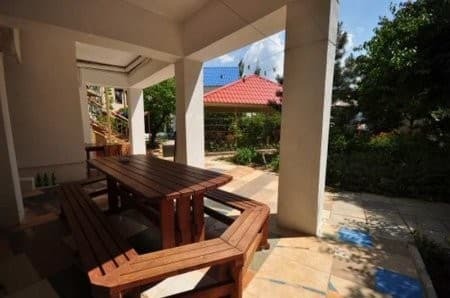 Guest house "White" offers accommodation in single, double, triple and quadruple rooms with all amenities and with partial amenities. 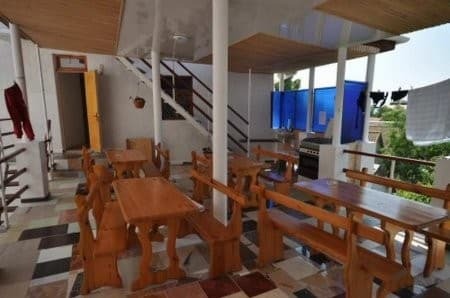 On the territory of the hotel there are kitchens for self-cooking, some rooms assume the presence of spacious loggias, passing to recreation areas with satellite television. PRICES MAY CHANGE, YOU NEED TO RECEIVE INFORMATION FROM THE OPERATOR! Description of the room: The room has all the necessary attributes for a comfortable stay. 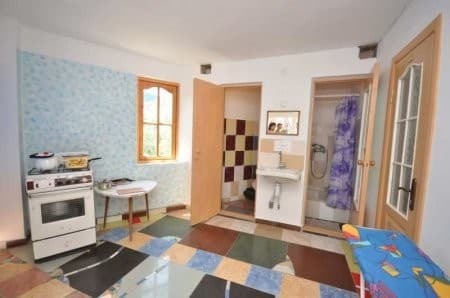 Shower, toilet, sink, kitchen-dining room - for 4 rooms. Description of the room: In the room - dishes, fan). Kitchen-dining room, shower, toilet, washbasin on the floor. Description of the room: In the room all the necessary attributes for a comfortable stay. Kitchen - on the floor. Description of the room: The room has all the necessary attributes for a comfortable stay. Kitchen-dining room on the floor. Shower, toilet, washbasin - for 3 rooms. Description of the room: The room has all the necessary attributes for a comfortable stay. Kitchen - on the floor. 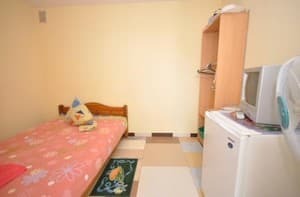 Description of the room: The room has all the necessary attributes for a comfortable stay. Kitchen on the floor. Children under 5 years without an extra seat are free. 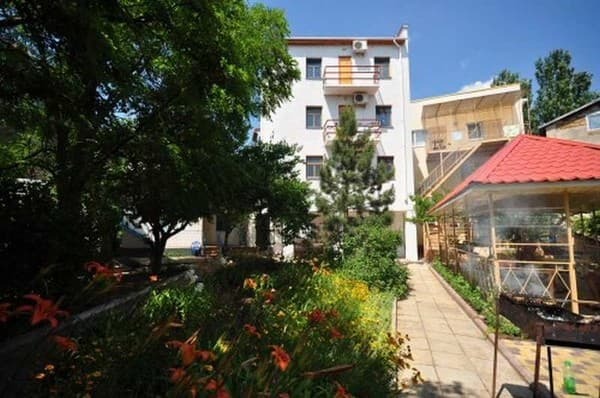 Guest house "White" is located near the Black Sea coast at the recreation center "Priboy" in Saki. in 100 m from the sea. By train - to the railway station in Simferopol or railway station in Evpatoria, then by bus to the bus station. Saki. Then take the shuttle bus number 3 "Saki -" Poltava "to the recreation center" Surf ". To the railway station in Saki, then it is necessary to pass 200-300 meters to the highway Saki - Evpatoria, where there is a fixed-route taxi No. 3 (to the recreation center "Priboy"). Transfer order is possible.